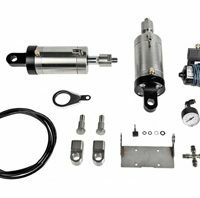 Our Air-Ride adjustable shocks will give your motorcycle a great look, while allowing more comfort and control. At the touch of a button the electric compressor is activated: you can easily lower your motorcycle while stopped or while parking it for better balance, and raise it for better comfort while riding. 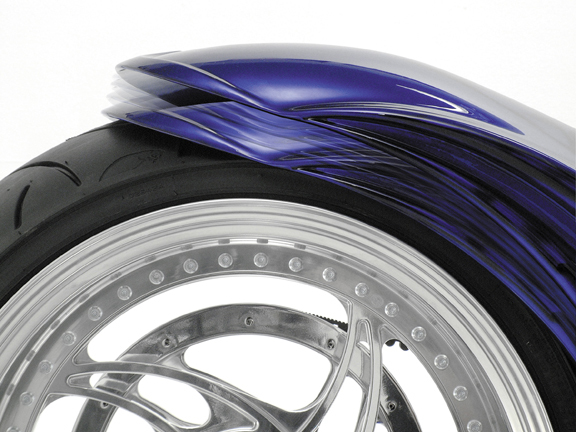 Progressive suspension is guaranteed by air cushions and height is adjustable up to 4 inches (10cm), depending on Harley models. 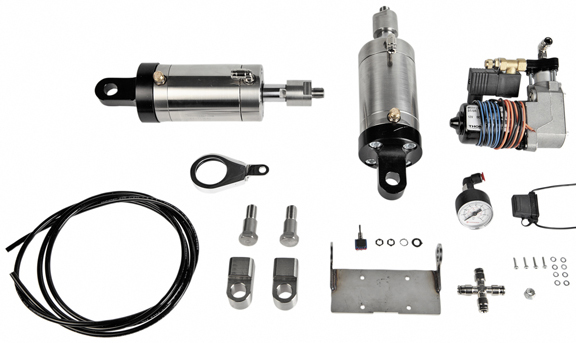 Our Air-Ride adjustable shocks can also be adjusted while bike is being ridden, no problem! Please note that for touring models we supply an hybrid system, with Air-Ride shock absorber on one side and a conventional shock absorber on the other side.